But we’ll need it if we want a higher share of renewables, say MIT researchers. A lot of people are staking a lot of money on the value of energy storage, but nobody agrees on how much it’s worth or how much we’ll need. That value is becoming clearer thanks to a new study by MIT energy systems researcher Jesse Jenkins and two colleagues from Argonne National Laboratory, published in the journal Applied Energy last month. Jenkins and coauthors Fernando J. de Sisternes and Audun Botterud modeled a grid based on the demand and generation profiles of Texas, and tested the optimal energy mix for 2035 under varying carbon emissions limits and amounts of short- and long-duration storage. The results show where storage plays the most valuable role -- and where it’s less relevant. Previous studies have examined the value of storage for specific uses, like avoiding expensive substation upgrades in congested parts of the distribution network, or providing an alternative to costly and carbon-intensive peaking power plants. Others have started from a desired penetration of wind and solar power and worked backward to figure out how much storage would be needed to make the system work. The goal of the new study, Jenkins says, is to determine the system-wide value of energy storage. Where does storage compete on its own terms? Not everywhere. The researchers found that it’s possible to meet stringent greenhouse gas limits without any energy storage. The energy mix in a no-storage scenario requires high levels of nuclear, though, so regions that are unwilling or unable to develop those assets will need some storage after all. As the level of storage increases, it allows greater penetration of renewable sources by helping to balance the ups and downs of variable production. In the scenarios with less stringent greenhouse emission constraints, additional storage lets wind and solar eat into nuclear's share of generation. When the emissions constraints tighten, the natural gas has to go. Storage is most valuable when the emissions limits are most stringent. Different types of storage also help different types of renewables. 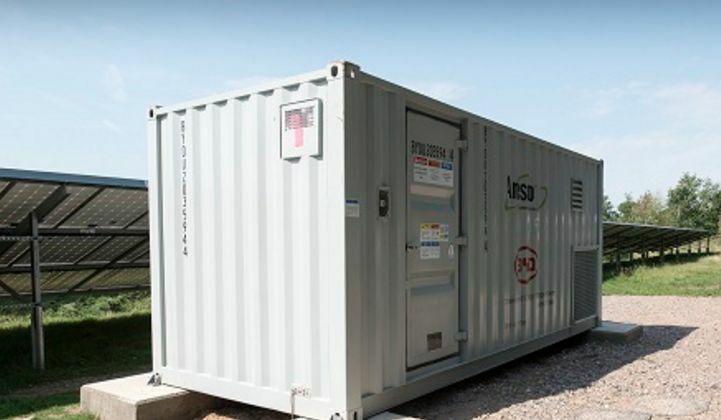 The short-duration storage, which acts as a stand-in for the lithium-ion technologies that hold a charge for a couple hours, work better with a higher amount of solar energy. That symbiosis has a limit, however. If solar production exceeds a certain threshold, short-term storage won’t be able to hold the surplus energy for long enough to be of use. “You have a wider peak to lop off and move into the afternoon, and then you might want to be able to absorb energy over a longer period of time because that excess solar comes not just over an hour or two hours, but maybe over four or five,” Jenkins noted. Wind might build up a lot of excess production when there isn’t much demand, like in the middle of the night. That calls for longer-duration storage, like pumped hydro, to hold onto the electricity for up to 10 hours until the grid can use it. It's worth noting a few limitations of the study. The authors employed green field modeling -- meaning they built the Texas grid from scratch. In the real world, of course, there are different costs associated with shutting down plants early. Alternatively, places that have already invested heavily in renewables might see lower costs associated with expanding them. The study adopts price estimates for clean energy technologies from the Department of Energy, but it's possible that real prices fall faster than those predictions. Lastly, the study does not examine network values for storage, such as relieving stress on congested transmission and distribution lines. That's because, as Jenkins noted, he's interested in the broader value of storage beyond highly localized benefits. That said, storage for peak load reduction is cheaper than new transmission or distribution infrastructure, and will play an significant role in storage growth in the near term. "That’s going to be the niche that storage scales up in over the next couple decades, because it’s really a high-value opportunity for storage, and, given current storage costs relative to the system-wide value that I’m looking at in this study, storage really needs that kind of additional revenue to make economic sense outside of policy supports," Jenkins said. The modeling, taken together with previous work by Jenkins and others, suggests three key archetypal energy sources needed for a cost-effective low-carbon grid: a flexible, zero-carbon baseload; fuel-saving, variable renewables; and a highly flexible source that can ramp up on demand for peak events. The baseload needs to operate most of the time, but must be able to scale down in response to daily or weekly trends in usage and renewable generation. Natural gas can do that, but not in a carbon-constrained world (unless carbon capture and storage becomes feasible sometime soon). Hydro performs this function, in the locales where it exists. Where that’s not an option, producers may need to start running their nuclear plants on a more flexible basis -- not flipping them all the way on and off, which is costly and impractical, but modulating them to run at a capacity factor between 60 percent and 90 percent. This kind of load-following is already common practice in France, Germany and Spain, Jenkins says, but is rare in the U.S. outside of the Pacific Northwest (the Columbia Generating Station does this to respond to seasonal variations in hydro generation). The renewables category operates with no fuel costs, so it can displace more expensive electricity production and bring down the price of the system overall. The peaking assets must be able to jump in at the rare times when supply isn’t meeting demand to avoid outages. Oil or gas plants have done this, but they can’t stick around with rigorous emissions constraints. Demand response and storage can play a valuable role here, Jenkins notes. For energy storage providers, the message is clear: greenhouse gas emissions targets are good for business.